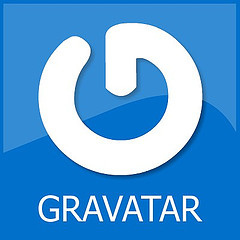 Craig Dearden | Online » Gravatar – The Icon / Avatar for everyone everywhere! Gravatar, It’s the Globally Recognized Avatar System. Basically – sign up on their website – Gravatar, and you can then upload an icon to their servers, with your name and email address. What’s the point in this I hear you say? Well that’s the beauty of it, all you need to now do is post a comment on a blog or forum that supports Gravatar. WHEN you do this, the blog in question checks Gravatar to see if you are signed up, if you are – then the blog will bring through your Icon. I guess this saves loads of time, and allows you to have a recognizeable icon everywhere you visit – Globally! – woohooooo Absolutely Amazing. Avatars – this is what the icons are called. That’s all well and good, however – you surely now need to create one? yes? Thought so! IF you have your own photoshop program, then make an image with 125px x 125px dimensions. Then you can just upload that to the Gravar system. The avatars are actually displayed at 80 x 80, so just quickly that your image doesn’t look out of place shrunk! Another really funky function of the Gravatar System is that each Gravatar is rated with an MPAA – style age recommendation, which allows blog owners to control the content of the Gravatars displayed on their site, ps the Current level set for Craig | Dearden’s is set to Adult, so we can “potentially” see all levels! (I look forward to seeing them)!